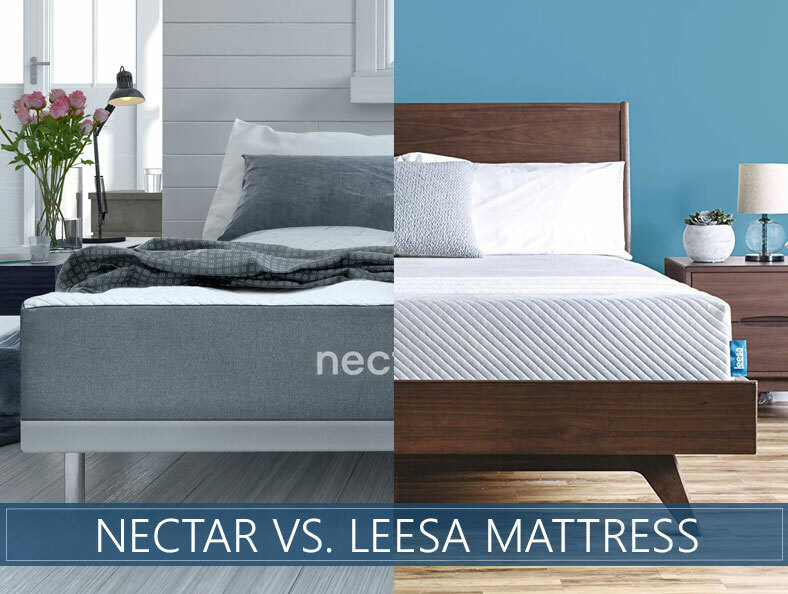 Nectar vs. Leesa compares a great overall value mattress to a company working hard on social and environmental initiatives while keeping sleepers happy at night. Can each brand hold its own against the other? With slightly different feels and construction, we were curious to see how each brand performed side by side. Keep reading to find out! Nectar’s a memory foam mattress that is compressed in a tube. It is shipped throughout the USA and there is an option for White Glove Service for delivery. 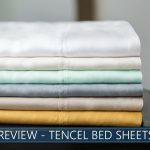 A Tencel and cotton blend makes up the breathable and wicking cover. An inch of memory foam with gel provides cooling and pressure relief, which is quilted to the cover. It surrounds the mattress, which has thickness of 11 inches. The first layer has a 3-inch memory material called LushFoam™, which responds slowly and adds further pressure relief. It is gel-infused to counteract overheating. The second layer contains 1.5-inch Adaptive Hi Core Memory Foam, which provides a smooth transition from comfort to support. The base layer has extremely dense 5.5-inch High Vegetable Base Super Core foam for compression support. Leesa’s foam mattress is a bed-in-a-box model that can be used with nearly every foundation. It ships to the USA, Canada, UK, and Germany. Its iconic striped cover is a thick polyester blend and can be zipped off for spot cleaning. The mattress is 10 inches thick with 3 levels. 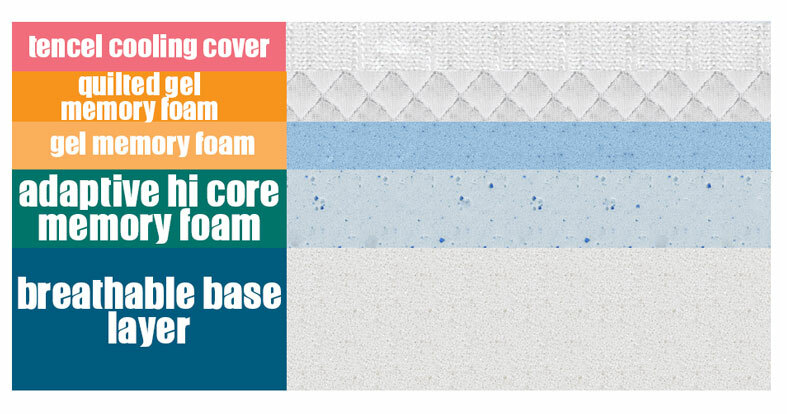 The top layer is 2 inches of latex-like Avena® foam with a convoluted bottom and pincore holes. It cools and promotes airflow. The second layer has 2-inch memory foam that contours and relieves pressure. The base layer has 6-inch supportive poly foam. Its density delivers durability and shape to the product. 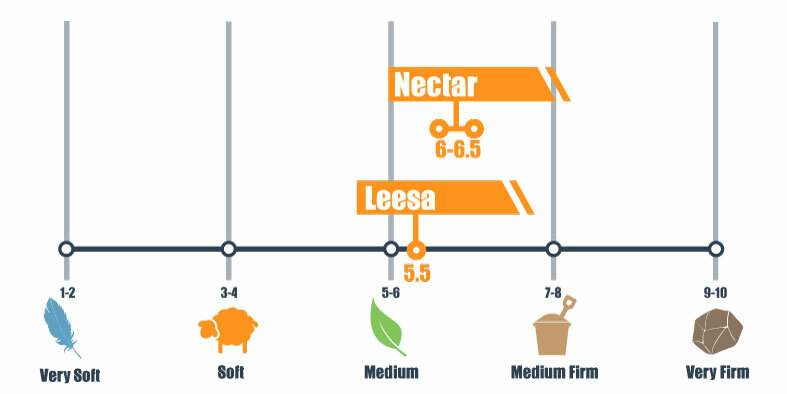 Nectar is a 6 to 6.5 on our 10-point firmness scale (where 10 is the most firm) and Leesa is a 5.5. As medium to medium-firm mattresses, most individuals like their feel. Each bed’s comfort layers feel soft when interacting with them and each does a great job of catering to back sleepers, people who prefer to sleep on their stomach, and side sleepers. However, Nectar is particularly great for side sleepers who need additional pressure relief in their and hips and shoulders because of its expanded memory layers. Significantly heavier sleepers may need to experiment to find out if they prefer the support of a firmer mattress. However, each brand has a long trial period that should allow them to do just that. Likewise, significantly lighter-weight individuals may consider a softer brand, which will help more with pressure relief. There is a noticeable difference in the response time of the two products. While Nectar’s top levels give it a slow response, its competitor’s top level snaps back into shape quickly. Although Leesa has a slow-responding memory layer within its construction, the Avena® foam and dense base layer are very quick-responding. 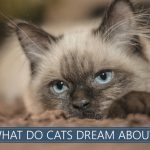 People who sleep light and wake easily to motion (such as pets and children jumping into bed or partners tossing and turning) will delight in each product’s minimal motion transfer. Memory foam mattresses tend to perform best with motion isolation and all-foam brands are close behind. High levels of motion isolation can be experienced in both offerings. The mattresses have similar edge support. We expect brands that ship compressed to have some compression when sitting or lying down along the edge. While this is the case, the support layers should make you feel comfortable and not like you're going to fall off the edge when lying down. Not everyone uses their edges for sleeping or sitting, but it is important to know how the bed should perform before buying it. Sinkage and bounce are two items that are completely preference-based when it comes to buying a new bed. This is one area in the comparison to note a major difference between the brands. Nectar’s memory layers hug its sleepers and have very little bounce. This is often the case for products that offer fantastic pressure relief; there is low bounce because of the memory materials. Oppositely, Leesa has a high amount of bounce for a non-innerspring brand and it is between a gentle cradle and deep hug level of sinkage. The mattresses’ quick responsiveness makes it slightly easier to move around and reposition. Should I Buy Nectar or Leesa? While both mattresses offer comfortable nights to most individuals, there are characteristics in each that will help you decide which bed you will prefer (see all our top category picks). A memory bed. If you enjoy thick memory materials with deeper contouring of the body, we think you will love this brand. A high-quality, less expensive option. With the exception of the Twin size, this option can help you save some cash in the larger sizes. Additional pressure relief. Memory materials are often the best way to reduce the pain of pressure points. Side sleepers with additional needs will benefit from the top layers in this bed. Longer trial and warranty periods. This brand has shattered previous industry standards by offering a 365-night trial period and lifetime warranty. A latex substitute. If you like the quick response and durability of latex mattresses, you might enjoy its top layer of latex-like material. It is even more durable than traditional latex. More bounce. If you want bounce without innersprings, this mattress could be the one for you. It has high levels of bounce for a foam brand. A brand with positive impact. As partners of the Arbor Day Foundation, they plant one tree after the sale of each mattress. Additionally, they donate 1 bed with the sale of every 10, encourage employees to volunteer, and help the current and previously homeless. Made in the USA. The Leesa is proudly made in America. Both beds have slightly different feels, constructions, and responsiveness. While both are fantastic options for your next purchase, you can find additional information on each brand in our full reviews. Very helpful and informative video. Thank you.